The ultra thin, strong and lightweight Tiagra Ultra A Standup is build from a carbon fibre exclusive to Shimano. This material reduces the overall weight dramatically and improves the feel and action of the rod when playing fish. 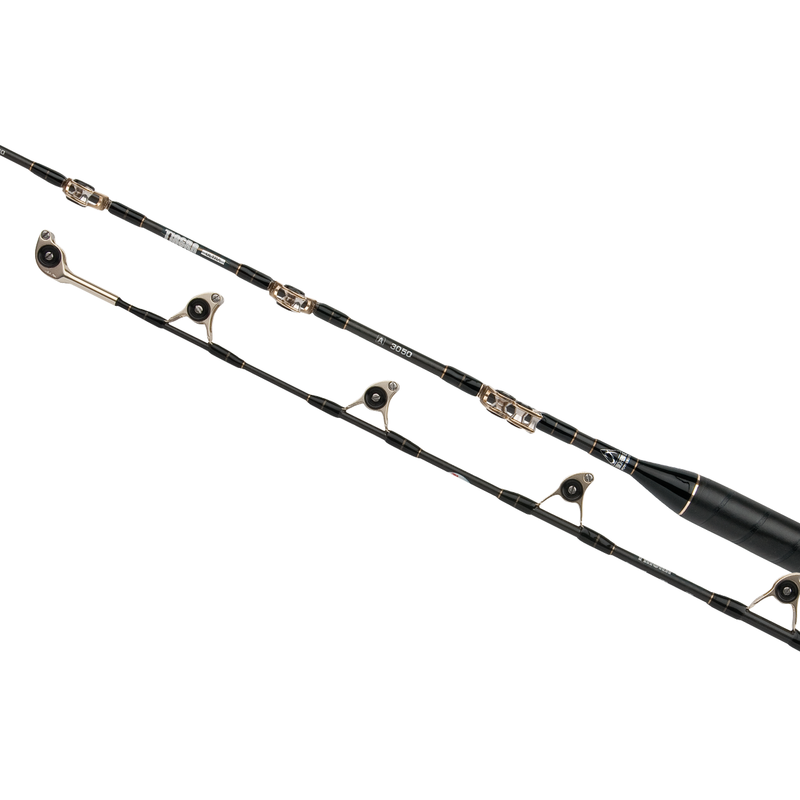 From 30-50lb the rod is fitted with Alps RX double leg roller guides, whilst the lighter models have the single leg version. The twist control feature keeps the blank from twisting, allowing the line to run smoothly through the guides at all times. Pour ses cannes mer haut de gamme, Shimano utilise la plupart du temps des anneaux et porte-moulinets ALPS. Les poulies ALPS sont également un composant d’une excellente qualité qui répond aux exigences de Shimano dans ce domaine. Réduit les vibrations du blank lors du combat et maintient les anneaux alignés pour une glisse de fil parfaite.